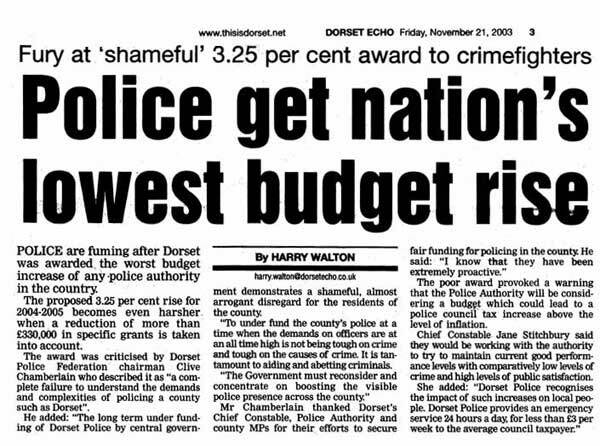 Dorset Police always plead Poverty, dispite spending Rate Payers Money on Civil Actions instead of Fighting Crime! See how Dorset Police have some 17million Pounds stashed and out on loan to building societys and banks. Dispite claiming that this money is allocated, we can see no where in other accounts showing where it is allocated to. Click Here to see the Accounts.